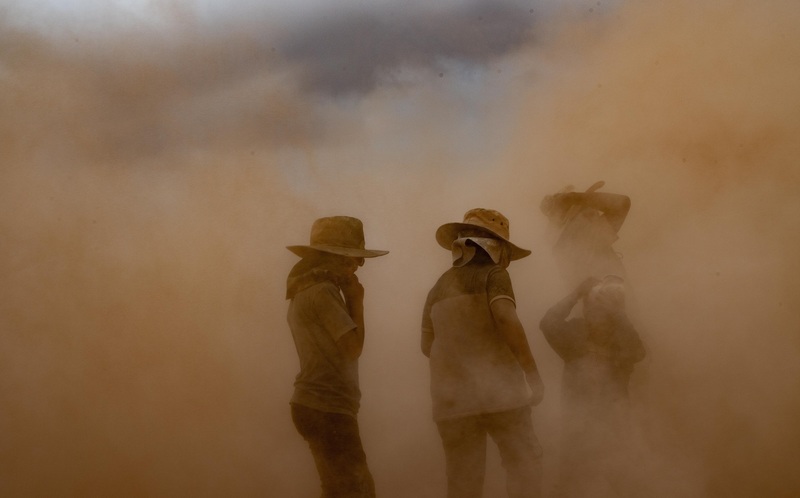 After 10 stages through the Peruvian wilderness, the 2019 Dakar Rally was concluded. 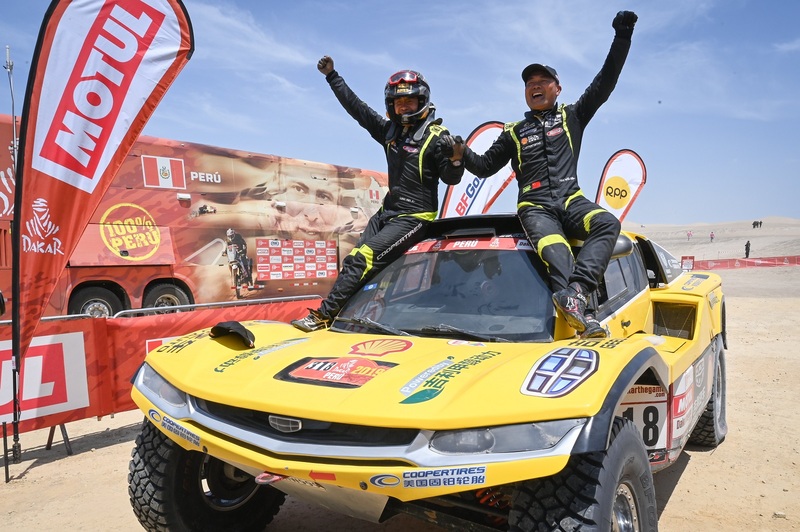 Han Wei and co-driver Liao Min from the Geely Auto Shell Lubricant Cooper Tire Team completed the daunting challenge in second place in the T1.3 vehicle category with their methanol powered Car No. 318. In the overall rankings, the crew made it to 27th place, the highest ranking ever achieved by a Chinese team in the race. 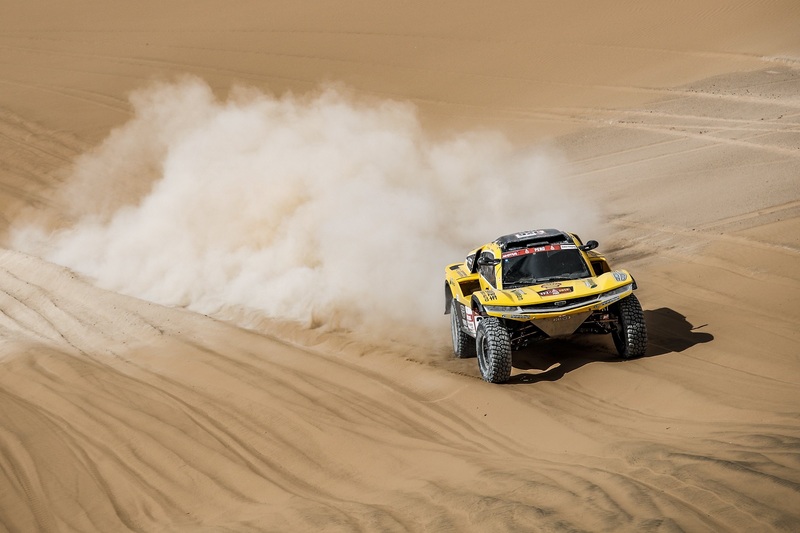 One high point in the race was when Han Wei claimed eighth place in Stage Seven, setting the best record for a Chinese drivers at any stage in Dakar’s history. Dakar Rally has been seen as one of the world` s most challenging, toughest, and dangerous racing event. 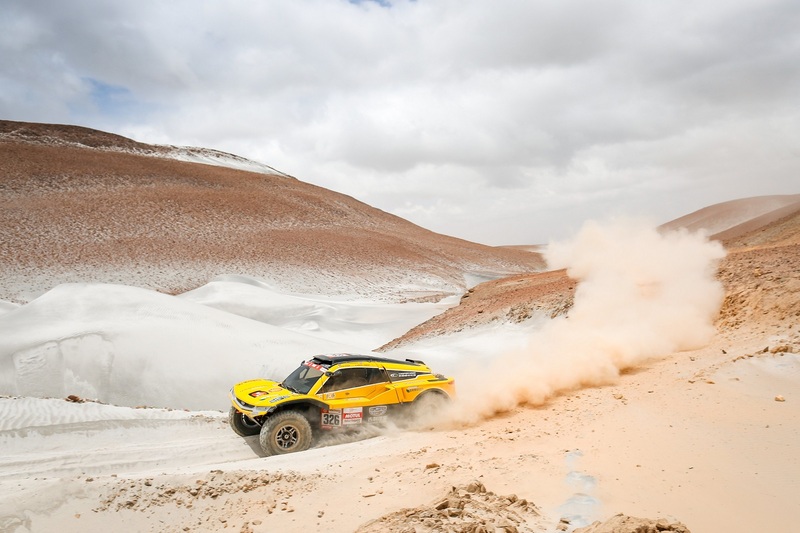 This year’s rally was dubbed “the most grueling Dakar in South America” due to Peru` s complicated terrain and the tightly scheduled racing. Geely methanol-fueled racing car withstood the punishing test at Dakar and fully proved itself in terms of reliability and durability, empowering Geely Auto Shell Lubricant Cooper Tire Team to successfully complete their first ever attempt of the Dakar Rally, an event that’s not unusual to see more than half of the competitors taken out of action. 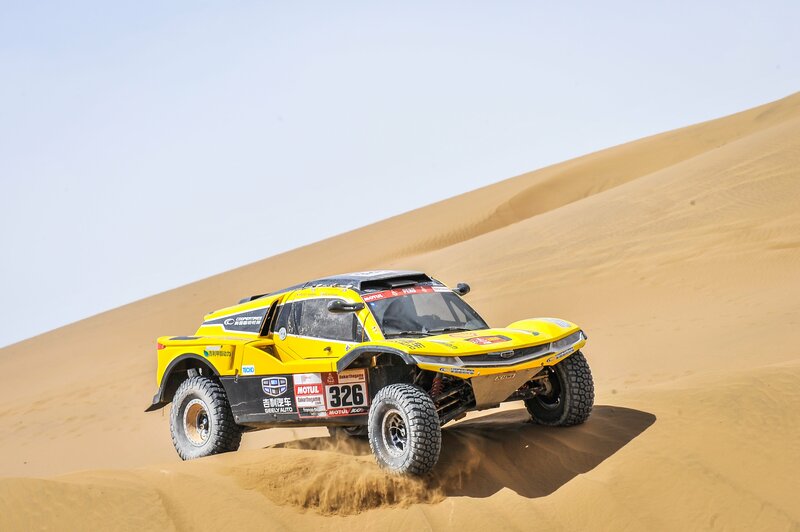 Even though it was his first time in Dakar, Han Wei – three time winner of the Taklimakan Rally- showcased Chinese strength at the world` s greatest rally event and achieved second spot in the T1.3 vehicle category driving Car No. 318. Han Wei` s Dakar debut tour was a wonderfully exciting roller-coast of a journey which kept hitting new highs after a mild opening. 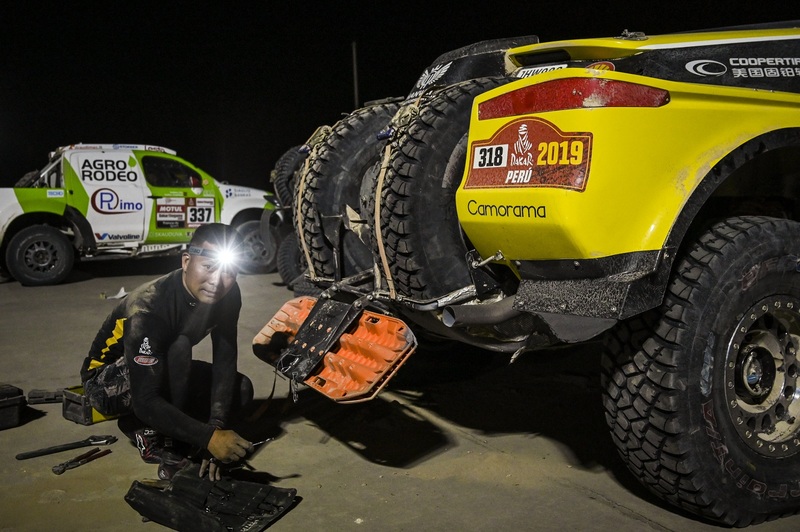 Although the team ran into mechanical problems during Stage Two, Han Wei never thought of abandoning the race, he rose up to the challenge and rushed off into the dunes the minute the problem was fixed. From Stage Three, Han Wei & Liao Min finished warming up and began catching up on the others on track, finally jumping up 70 places overall. During Stage Four, the team’s partnering Car No.326 broke down during the race with a clutch and starter issue. With no auto mechanics available to repair the vehicle driven by world-class racers Philippe Gache and Stephane Prevot had to decide whether they would risk driving a severely damaged vehicle into the challenging Stage 5. To help his teammate continue the race, Han Wei drove his vehicle behind the damaged Car No.326 and push started it. In the face of the world` s most challenging, toughest, and dangerous task, Han Wei and Liao Min faced the challenges together with their bravery, impeccable performance, indomitable determination, and noble character. 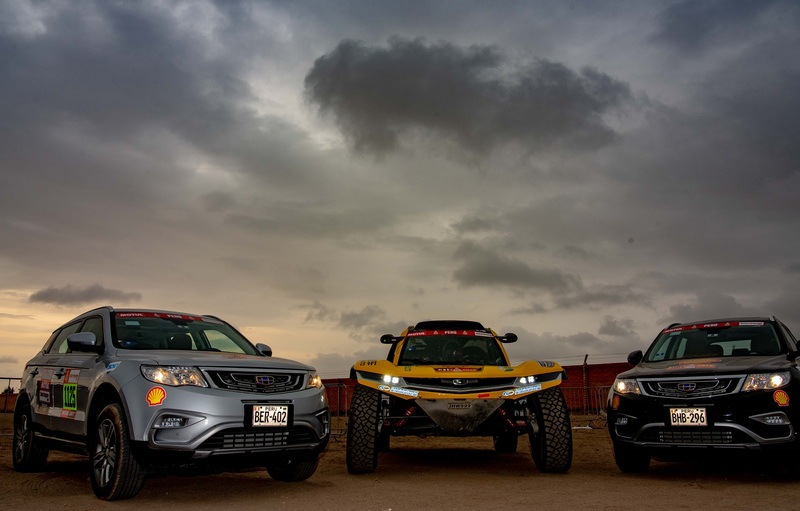 Their performance in Dakar has set an example for racers around the world. Dakar, always a spectacular and unpredictable event, stay tuned for the next chapter in 2020!